Sweet and salty caramel that tastes like home. If there's a food 'trend' that is still standing strong, it would have to be salted caramel. 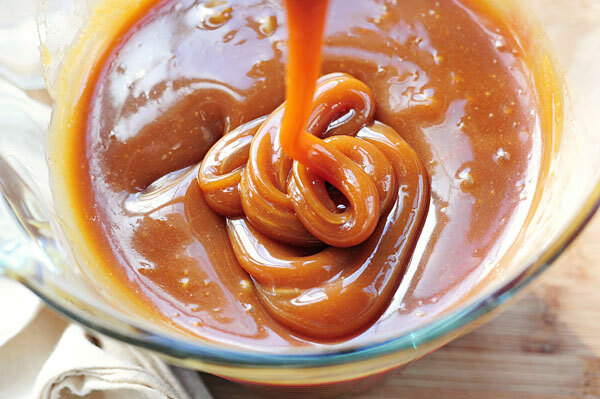 Because how can you resist the temptation of sweet and savoury caramel in your dessert? 1. Crush or grate the gula Melaka into small chunks. 2. Add the sugar into a heavy-bottomed pot with a splash of water. Heat until the sugar melts. 3. Swirl the pan occasionally to keep the sugar from burning and also to ensure even cooking. 4. Once the sugar has slightly thickened, take it off the heat. Add the salt, butter and coconut milk. 5. Stir until completely melted and well combined. Return back to heat and simmer until desired consistency. 6. Serve when warm and drizzle it over EVERYTHING! The gula Melaka salted caramel can be stored in the refrigerator for up to a month. All you need is 4 ingredients! [VIDEO] Maggi Kari + Milo Combo, Anyone? Crazy gross or crazy good? You decide.